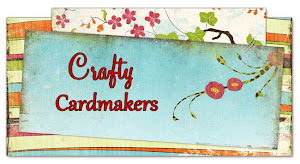 Floral vintage labels stamp set. 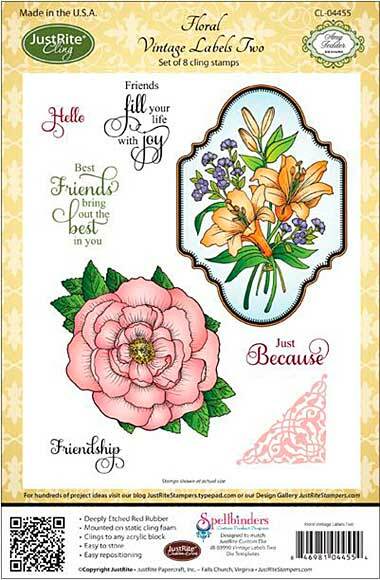 This stamp set has two beautiful flower images and some lovely sentiments. Tuxedo black memento ink and coloured with copics. Vintage labels two die set. A larger frame from the vintage labels set is then cut in white card. 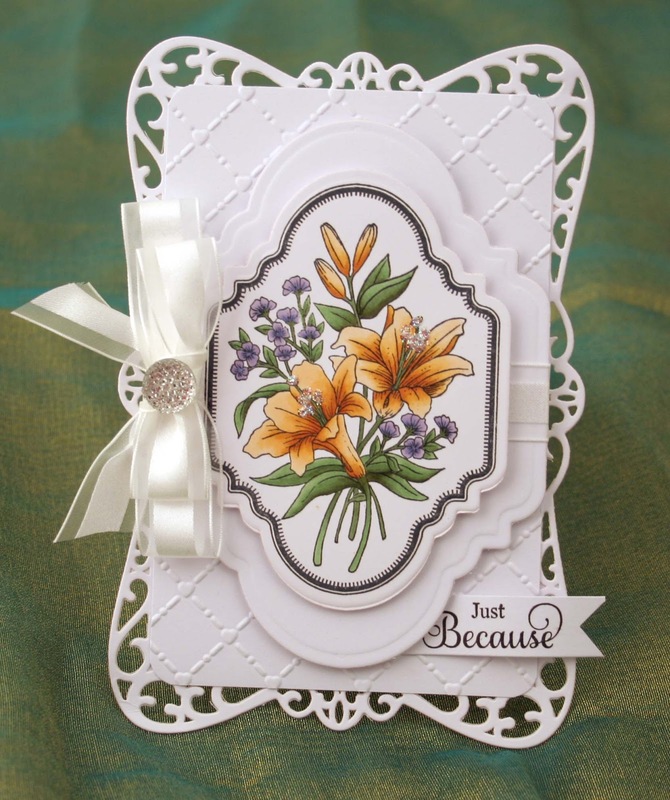 The card base is made using Timeless rectangles by spellbinders cut out in white card. Heart lattice embossing folder for a little more detail under the flowers. The card is finished off with a bow and crystal and some stickles on the flower stamens. The sentiment is from the Floral vintage stamp set.